If you were here earlier this week you may have caught my Constellation Jar post. 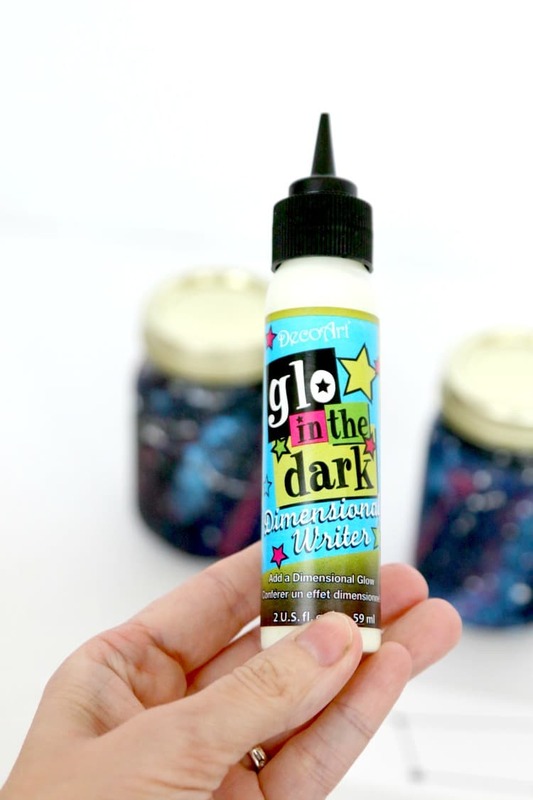 It’s a pretty long post with tons of beautiful pictures to show you step by step imagery of how you create a constellation jar, the layering of the paint, and all the stuff you need to make it happen. 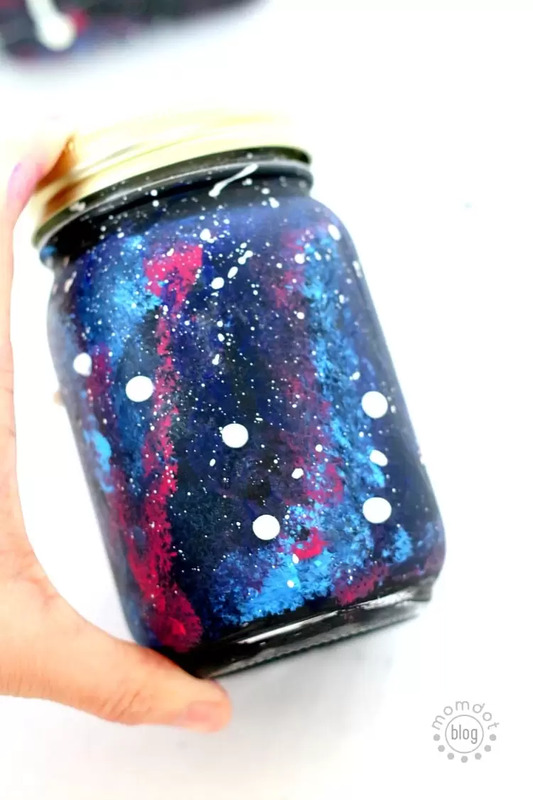 Becuase you need that jar to do this craft (think of this as Constellation Jar 102), before you start on this one, head over to that post. I would have moved over the instructions but truthfully it’s a long post and contains tips that would better off read there or this will get too long and drawn out. Read the Constellation Jar Post here. Got your jar done and dry? Ok, you are now in the right place, read on, dear readers, read on. Someone asked me earlier tonight what I do with all these jars. I display them of course! I have a big crafting “office” and I use my jars (at least the ones that are not calming jars) to put in my pens, pencils, scissors and hot glue sticks. 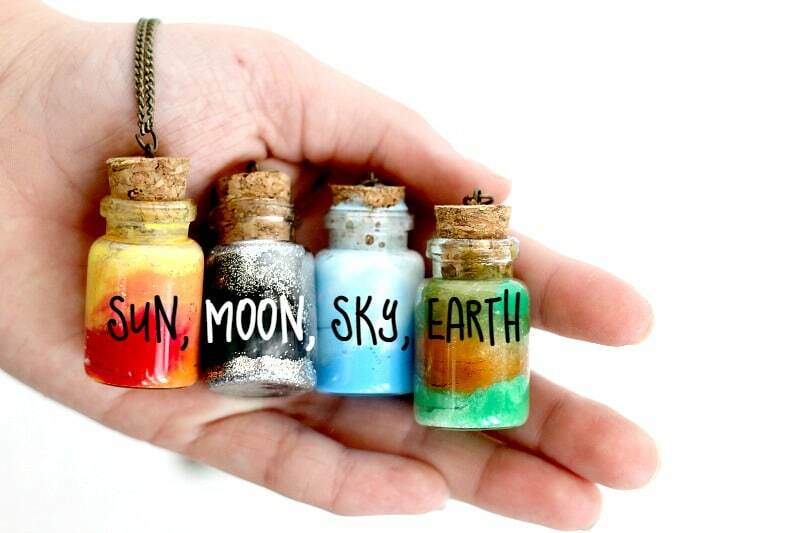 You can use jars for anything really (maybe to gift in?) and once they are decorated, they are fun to leave out. But this jar…its so pretty. I could not leave it alone. 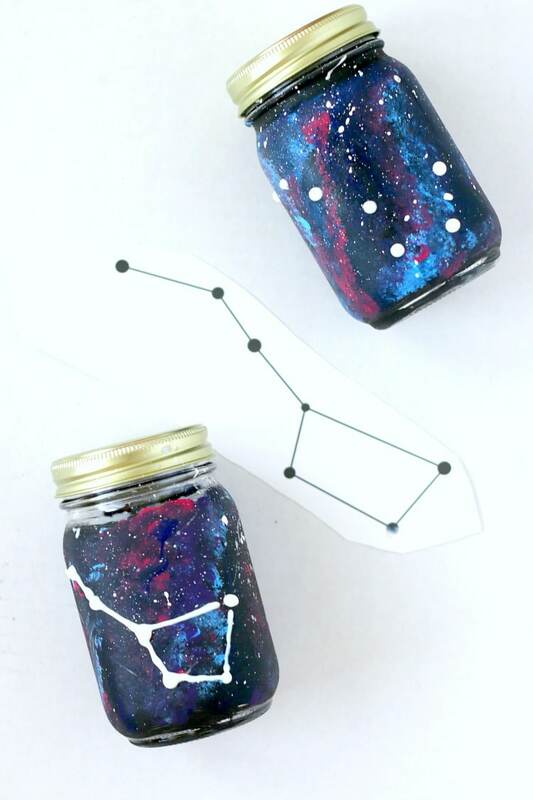 I called it a Constellation jar after all, so it really needed some constellations. Like recognizable ones. And what is better and more noted than the Big Dipper! Firs things first- you need to know the basic shape of the constellation you are putting on. I simply did what any non-scientist person would do and googled it. Boom. Yep, looks just like the one in the sky. 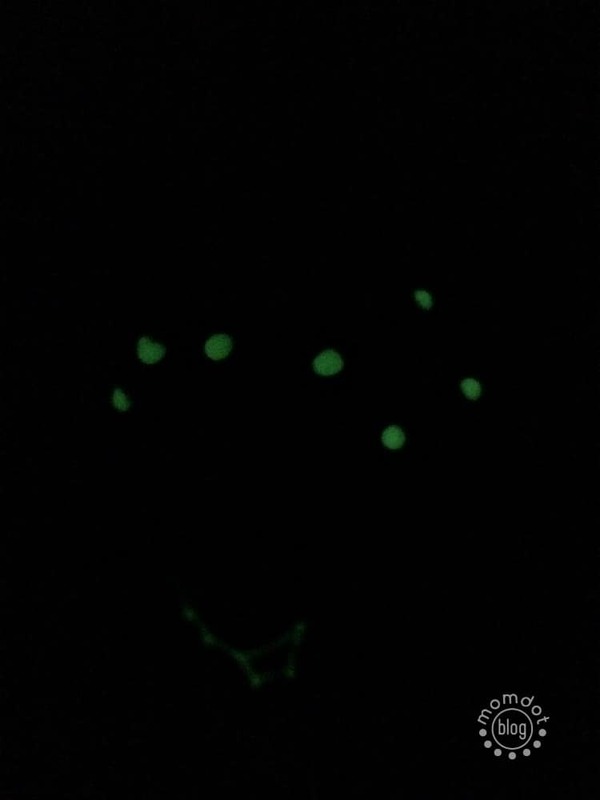 Then I eyeballed it and used my Dimensional paint to put on dots basically where I think the big dipper stars would go. It’s not perfect. Crafting should not be perfect. If it is, you are Martha Stewart or you are doing it wrong. I actually didn’t like my first dipper and wiped that bad boy right off the planet (he, he, I got jokes) and started over. Because my jar is kinda on the little side, the handle went around the side. 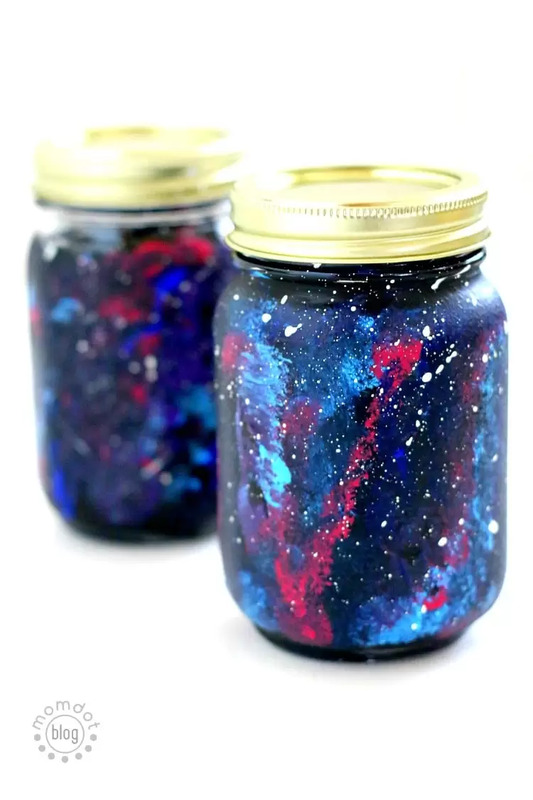 I did one jar with just “stars” and one with the lines so you could see it. I ended up liking the way the stars looked by themselves the most in the dark. Then wait for it to dry and there you have it! Cute constellation pen holder in the day, glowing big dipper at night. Kids will also love to have this jar in their room as a cool addition and a bit of a nightlight. Love Jar Crafts? Me too! Head over to see more Jar Crafting tutorials here!